• Bodily Injuries and Property Damage from Garage Collapse are Excluded from Coverage under Design Professional’s CGL Policy. The liquidated damages (LD) provision in a federally funded contract to re-stripe an interstate highway was held to be enforceable against the contractor that failed to complete a project on time. When the Montana Department of Transportation (MDT or MDOT) assessed and withheld liquidated damages, the contractor filed suit asking the court to declare the contract was one of adhesion that it could not negotiate and that the LD clause was unconscionable, against public policy, and unenforceable. In rejecting the contractor’s arguments, the trial court granted a motion by the MDOT for summary judgment that was sustained on appeal, on the basis that LD contract provisions were required by Federal Highway Administration (FHWA) regulations applicable to the project and should have been within the contractor’s reasonable expectations, and they were not otherwise unconscionable or legally unenforceable. In Highway Specialties, Inc. v. State of Montana, 351 Mont. 527, 215 P.3d 667 (2009), the re-striping contract required the contractor to complete re-striping 575 miles of highway in northeastern Montana before the winter because of safety concerns and reduced visibility during the winter months making it important to have new lines and symbols on the road. A liquidated damages clause stated that “liquidated damages will be assessed in the form of a daily charge for each day” beyond the scheduled completion date of August 15, 2003. This clause further provided that “the daily charge will be determined from the Schedule in the Standard Specification Article 108.08 under fixed date.” According to that Schedule, the daily rate was $387 for projects with a contract sum between $100,000 and $500,000. In the contractor’s litigation to recover from the state the LD’s withheld due to late completion of the work, the contractor made three primary arguments. These were that (1) the LD provision was unconscionable because it was a contract of adhesion — being a take-it-or-leave-it contract with no meaningful opportunity to negotiate the terms and (2) the LD’s were disproportionate to the state’s actual damages. In response, the state argued that the contractor was a sophisticated and experienced contractor who knew what the contract provided and had the opportunity to discuss the terms – but that in the final analysis federal law required the LD clause to be included in the contract and the contractor therefore had to accept it. Moreover, the contractor had performed numerous similar contracts and acknowledged knowing about the provision. The appellate court analysis considered the fact that the LD rates were subject to FHWA approval and had to be reviewed by the state at least every two years for reasonableness. The court stated that just because the LD clause was required by federal regulation does not mean it will automatically be enforced. Instead, the court will consider public policy and common law principles of the state to determine whether the clause is unconscionable and unenforceable. In this case, the court concluded that it was not necessary to address whether it was a contract of adhesion because even if were, the contractor “cannot establish that the contract’s terms were not within its reasonable expectations, unduly oppressive, or against public policy. . . .” The court states “The clause will only be deemed unconscionable if it is a contract of adhesion AND if the contractual terms were unreasonably favorable to the drafter, which is generally determined by whether the provision was within the reasonable expectations of, or unduly oppressive to, the weaker party.” Based on the facts reviewed, the court concluded that the daily rate assessed was not unduly oppressive, the provision was within the contractor’s reasonable expectations, and the provision was not otherwise unduly oppressive. Comment: The contractor in this case offered evidence to demonstrate the actual amount of damages incurred by the state DOT, and it argued that the amount of LDs was punitive for exceeding by three times the amount of actual damages. The trial court didn’t address this argument other than to state it was not credible because the contractor merely approximated what it thought the actual damages were rather than seeking from the state actual details of the damages. It should be noted, however, that the concept of LD’s is that they are to be used as the measure of damages in situations were it may be difficult to calculate and determine actual damages. Even if a contractor could demonstrate that its client incurred actual damages less than the LD amount, this does not generally mean the LD clause would be found unconscionable due to a punitive nature. In this case, for example, the court explained that there were other less financially tangible factors to consider such as the safety of the public driving on the road that was not re-striped prior to the winter. Those types of subjective damages are appropriate for inclusion in the LD rate. Another point to emphasize is that just because a contractor may have no ability to negotiate the terms of the contract (as was the case here), this does mean the contractor can successfully argue that unfavorable terms of the contract should be unenforceable because the contractor had to take-it-or-leave-it. The contractor must prove more than the unequal bargaining position and take-it-or-leave-it nature of the contract. It must prove that the terms of the contract were so oppressive as to be contrary to law or public policy. That is generally a tough matter to prove. This should be carefully considered before a contractor signs a contract intending to later argue that it should be excused from unfavorable terms because it had no choice but to sign the contract as-is. About the author: J. Kent Holland is a construction lawyer located in Tysons Corner, Virginia, with a national practice (formerly with Wickwire Gavin, P.C. and now with Construction Risk Counsel, PLLC) representing design professionals, contractors and project owners. He is also founder and president of ConstructionRisk, LLC, a consulting firm providing consulting services to owners, design professionals, contractors and attorneys on construction projects. He is publisher of ConstructionRisk.com Report and may be reached at Kent@ConstructionRisk.com or by calling 703-623-1932. This article is published in ConstructionRisk.com Report, Vol. 12 No. 4 (April 2010). Subcontractor is not permitted under the Contracts Disputes Act (CDA) to bring an action against the federal government where the prime contractor failed to pay the subcontractor for its work. This is true even though the federal department (U.S. Navy) committed to issuing a two-party check because it knew the subcontractor was having difficulty getting paid by the prime contractor. The Navy subsequently issued the check payable only to the prime contractor who then failed to pay the subcontractor. Even if the subcontractor could argue it was an intended third party beneficiary of the Government’s commitment to issue a two-party check, the Government’s sovereign immunity prohibits a subcontractor from bring suit against the government. 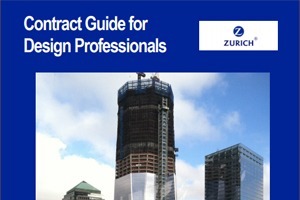 Although the CDA waives sovereign immunity for purposes of contractual disputes between the government and contractors, the statute is applied strictly to allow only prime contractors in direct privity of contract with the government to bring such claims. Subcontractors are not provided rights under the CDA. In Winter v. FloorPro, Inc., 570 F.3d 1367, the U.S. Navy awarded a contract to a minority business enterprise (MBE) under the Small Business Act to install floor coating at a warehouse on a military base. The MBE subcontracted almost 90 percent of the value of its contract to a non-minority owned firm that satisfactorily performed the work. When the prime contractor failed to pay its invoices, the subcontractor notified the Navy. The Navy then decided to issue a two-party check that would have to be countersigned by both the prime contractor and the subcontractor. For reasons unexplained in the decision, the Navy issued the check payable only to the MBE. That firm then cashed the check and failed to pay the subcontractor. The subcontractor filed a request with the Navy’s Contracting Officer to issue a decision declaring the government owed it the balance of its subcontract amount as an intended third party beneficiary of the Navy’s agreement. When the C.O. didn’t issue a decision, the subcontractor appealed to the Armed Services Board of Contract Appeals. The Board found in favor of the subcontractor, finding it to be entitled to recover from the government. The Navy appealed this to the Court of Appeals for the Federal Circuit, arguing that the CDA does not waive the government’s sovereign immunity to allow claims by anyone other than a prime contractor. The court agreed with the Navy and reversed the decision accordingly – holding that the language of the CDA must be strictly and narrowly interpreted to permit only those in actual privity of contract with the Government to enjoy the rights afforded by the Contracts Disputes Act. A plaintiff’s expert witness was challenged by the defendant on the basis that the expert’s testimony failed to adequately demonstrate that there was a consensus within the architectural community for the standard of care that he asserted applied in the case. The essence of his testimony was that when an architect is retained by a prospective home purchaser to provide an evaluation of the property, he must call in a structural engineer if he observes a condition that involves structural failure and settlement. The underlying facts of this dispute involve a professional opinion provided by an architect on behalf of a property purchaser advising that despite observable defects, including significant cracking and settlement, the house was structurally sound. After purchasing the house in reliance on the report, the homeowner subsequently experienced substantial structural problems, and sued the architect for malpractice. The architect moved for summary judgment on the basis that Plaintiff’s expert failed to adequately demonstrate the applicable standard of care. The trial court denied the motion. On appeal, the court agreed with the trial judge that the expert testimony against the architect was satisfactory because it was not based merely on personal opinion, but instead indicated with reasonably clarity that the consensus of architects was that when confronted with substantial structural defects, the standard of care was to recommend that an engineer be consulted. In opposition to the motion for summary judgment, the plaintiff argued that although their expert did not cite any written authority in support of his opinion, his testimony “relied on the unwritten custom or practice indicating a consensus on an architect’s duty in the circumstances of this case.” As explained above, the court agreed that the testimony was sufficient to overcome the summary judgment motion. Vitale v. Seibert, 2009 WL 4724861 (N.J Super. 2009 – unpublished). An engineering firm performed soil studies and rendered an opinion on the suitability of using septic systems in a residential subdivision being developed by its client. The client sued the engineer on the basis of allegedly inaccurate conclusions. The engineer successfully moved for summary judgment to enforce a limitation of liability (LoL) clause in its contract. According to the Georgia Court of Appeals, the clause was a reasonable allocation of risk negotiated between two companies with equal bargaining position and it was not contrary to public policy or any state statute. Comment: This case seems to finally end any uncertainty in the state of Georgia concerning the availability of limitation of liability clauses to establish a reasonable allocation of risk between design professionals and their clients. The clause in this case applied only to claims by the client against the design professional. It did not attempt to limit liability arising out of third party claims. Nor did it attempt to eliminate or avoid responsibility and liability altogether. It thereby avoided the confusion noted by other recent cases in Georgia where the LoL clauses attempted to apply to third party claims and thereby potentially run afoul of the state anti-indemnity statute. In this suit for over $100,000, the engineer’s fee was only $2,200. The LoL clause wisely limited liability to the greater of the amount of the fee or $50,000. The fact that an engineer agrees to be subject liability many times greater than its fee can be useful in demonstrating the reasonableness of the LoL clause. When the fee is small, it is possible that a court might consider that amount as too nominal or inconsequential to establish a reasonable LoL. Establishing a reasonable threshold amount such as $50,000 or some other reasonable amount below which the LoL will not fall may make the LoL clause less vulnerable to successful challenge. The issue concerned whether the contract required the contractor to use a three-ply flashing material rather than waterproof paint. The specifications were silent on this subject. A witness for the Navy testified that it the specifications for the roofing material were inadvertently omitted when the specification documents were prepared. The Navy argued, however, that the requirement for the three-ply system on the parapet walls was clearly shown in one of the drawings even though not shown in the specifications. The contractor filed a request for equitable adjustment (REA) for the extra costs it incurred installing the system the Navy ultimately required. When this was denied, the contractor appealed to the Board of Contract Appeals. The Board denied relief. It found that the contractor failed to take account of the detail appearing on one of the drawings – which was one of 48 sheets of drawings included with the contract. That drawing, according to the Board, provided sufficient information that felt flashing material was required on the parapet walls, to render the contractor’s interpretation “not within the zone of reasonableness.” As an alternative ground for its decision against the contractor, the Board found that there was a patent rather than latent ambiguity in the specifications and drawings arising out of the references to “coats,” “layers,” and “plies” about which the contractor was obligated to inquire. As a patent liability the contractor would be required to inquire as to the problem. In reversing the Board decision, the Court of Appeals found that in view of the evidence, including what the court considered to be weak testimony of the Navy’s witnesses concerning the drawing in question, the contractor’s interpretation of the contract requirements was within the zone of reasonableness. Factors considered by the court were that (1) waterproof paint had been used by another contractor on two panels of the roof prior to award to this contractor for the balance of the roof; (2) the contract omitted to include a specification addressing what material to use; (3) the one drawing that showed any detail was less than clear and on the Navy presented conflicting expert testimony as to its meaning; and (4) the contract used words such as “layers” and “coats” that were not so precise as to dictate the use of multi-layered felt material instead of paint. Finally, the court explained that it would give “due attention to the rule of contra proferentem, meaning the contract will be interpreted against the party that drafted it, i.e., the Navy. Where an architectural firm was sued by multiple plaintiffs for bodily injuries and property damage resulting from the collapse in 2003 of a parking garage it designed for the Tropicana Casino Resort in Atlantic City , its commercial general liability (CGL) carriers were held to have no duty to defend against the suits. This is because the professional liability exclusions of the policies were applicable to bar coverage. The fact that the plaintiffs alleged “general negligence” in addition to “professional negligence” did not change the fact that all the allegations arose out of the firm’s professional services as an architect. The professional services exclusion, therefore, applied. “Architectural Professional liability policies and general liability policies are intended to cover different types of risk [citations omitted]. Professional liability policies are intended to cover risks inherent to a particular profession, such as the failure to perform with a standard of skill expected, as opposed to risks that arise as with many types of businesses *** In analyzing whether a professional services exclusion in a general liability policy applies, courts must examine the “character of the [insured’s] conduct” alleged and the “nature of the services” performed by the insured to determine if the insured’s liability “flowed directly” from a professional activity. The bottom line here is that all of the allegations against [Architect] arose out of [Architect’s] professional services as an architect. [Architect’s] only involvement with the garage collapse, which is the basis of the underlying suits, is that they had an Owner-Architect agreement with Tropicana and were performing as an architectural firm in accordance with that contract. Plaintiffs have not pointed to any allegations of [Architect’s] conduct that were unrelated to [Architect’s] professional architectural services. … [I]t is clear that the “character” of [Architect’s] “conduct” at issue was professional in “nature” and that therefore [Architect’s] potential liability “flowed directly” from a professional activity, namely architecture. For these reasons, the court found the trial court correctly concluded that all of the architect’s actions and failures alleged in the underlying complaints flowed from its professional role as an architect – making the professional services exclusion in the two CGL policies applicable. About the author: All articles in this issue of the ConstructionRisk.Com Report are written by J. Kent Holland, a construction lawyer located in Tysons Corner, Virginia, with a national practice (formerly with Wickwire Gavin, P.C. and now with Construction Risk Counsel, PLLC) representing design professionals, contractors and project owners. He is also founder and president of ConstructionRisk, LLC, a consulting firm providing consulting services to owners, design professionals, contractors and attorneys on construction projects. He is publisher of ConstructionRisk.com Report and may be reached at Kent@ConstructionRisk.com or by calling 703-623-1932. This issue may be cited as ConstructionRisk.com Report, Vol. 12 No. 4 (April 2010). Articles may be reprinted for use in other newsletters provided attribution is given to this Report and the author. Permission is hereby granted for links to be created on other websites to any article on this website. This newsletter Report is published and edited by J. Kent Holland, Jr., J.D. The Report is independent of any insurance company, law firm, or other entity, and is distributed with the understanding that ConstructionRisk.com, LLC, and the editor and writers, are not hereby engaged in rendering legal services or the practice of law. Further, the content and comments in this newsletter are provided for educational purposes and for general distribution only, and cannot apply to any single set of specific circumstances. If you have a legal issue to which you believe this newsletter relates, we urge you to consult your own legal counsel. ConstructionRisk.com, LLC, and its writers and editors, expressly disclaim any responsibility for damages arising from the use, application, or reliance upon the information contained herein. J. Kent Holland, Jr., Esq.